While travelling around is generally a pleasant activity, for some it can be quite intimidating. There are many reasons for that and it’s understandable that a new place with its own culture and traditions can make a person nervous. However, none of that compares to the anxiety caused by a business trip! Not only are you worried whether you’ll be successful in achieving whatever goal or reason you’re travelling for, but you’ll be in a foreign place too. It can make anyone feel vulnerable and intimidated. Luckily, there are many ways to overcome this stress and improve your chances of having a successful business trip. A calm mind would be able to leave a better impression on others. Why are business trips so stressful? There are many reasons for getting stressed out while travelling for business reasons. The financial worries, the new place and being away from the people you know can all pile up eventually. Plus the flight itself makes a person tired so there’s a small fuss about whether or not you look presentable. At least I managed to get a cheap ticket from dwt travel agency to lessen the budget stress. If you pack the right things, your trip will be easier on you so make sure you ditch anything useless and take along the necessary things. Since a business trip isn’t all about exploring around, you should pack light. Take whatever is necessary and make sure your luggage is well below the max weight limit on your ticket. The more things you take the more you’ll have to fuss over them. Besides, too many useless items will be hard to keep track of, leaving you stressed out in the end. One of the biggest problems with travelling is ending up tired and sleep-deprived. I used to think that it’s mostly because of the boring flight or because the seats are uncomfortable but no. I figured out that it was all that needless noise or someone talking too loud or kids crying that gets to you. Get yourself a good pair of noise-cancelling headphones and get some nice songs on your phone to stay pleasant during the flight. Now I know eating too much when you’re worried is extremely unhealthy but in moderation, it can be great. Don’t bring too much sugary things because that may prevent you from getting a good night’s sleep. Besides, after waiting about on the airport and then putting up with the droning flight later, it’ll all ought to make you hungry. My best suggestion is that you keep a few energy bars on you. Pack something that doesn’t crumble easily doesn’t melt and is packed well. A well-organized travel plan can help you worry less. The lesser the tension the lesser the stress level will be. It never hurts to look up information on wherever you’re heading to. 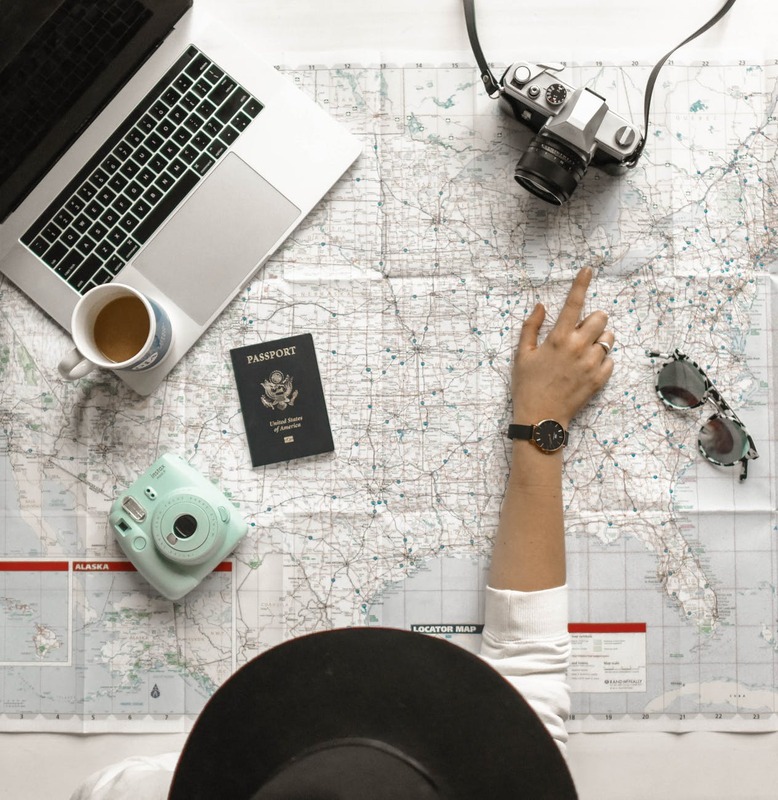 Since you won’t be going for a fun vacation, it’s essential that you know at least the basic things about your destination because you won’t be having much time to explore. Personally, I really enjoy learning new things because it’s fascinating and it keeps me distracted from thinking up bad scenarios. The more you know, the more confident you’ll be. On a more serious note, I suggest you make a little list of all the useful facilities and services that you may use, like rent a car or an alternate hotel. In fact, your research will help you pack more efficiently. Before travelling, figure out how you’ll stay in touch with your co-workers and make sure there’s also an alternate method of doing so. Not being able to get your message across or receive an important email can make anyone panic. Also, talk to your phone service providers and get one of their travel plans that help you stay connected. Another wise thing to do is to coordinate with a friend or a family member who can send you some money in case you run out. Not every country has ATM services. Similarly, talk to your bank to make sure you won’t have any money issues and have a way to reach out to them if you do. Now I know that when you’ll be travelling for work reasons so you can hardly ever switch up the dates. What you can do is leave some free space in your schedule. It’s wise to expect the unexpected and leave out some free space for flexibility. Things go awry during trips frequently. And if you expect it, without getting all pessimistic mind you, then you’re sure to stay calm. Sometimes, the language barrier prevents you from getting your message across or some certain booking gets all mixed up. Just keep in mind that if there’s a problem, there’s most certainly a solution. Rather than panicking, plan carefully so no matter what, you stay in control. If you’re travelling really far then keep the new time zone in mind. If you’re sleep deprived, you won’t be able to function properly. Therefore, I suggest that you start tweaking your schedule to suit your trip beforehand. Also, you can start going on long walks. If you happen to frequent the gym then keep in mind that your hotel may not have such facilities. But you can always go on jogs or walks. Not only will it keep you healthy without straying from your original schedule but also let you explore around. Staying healthy and keeping a sense of normalcy tends to keep us stress-free. A sudden change in our life can throw us off. This disorientation can cause you to worry needlessly and make you feel restless. Take some time to meditate One of the best ways to calm down is to meditate. Get some of those soothing music and pick any suitable time. You can take buy a room freshener of your choice to replace scented candles and simply calm down. Reflect on your problems and break them down into tiny ones you can manage easily. I always do that when I feel like I’m too swamped with some issue.